Comments: Stand Easy is one of those hidden gems of a album. I have found some of these tracks just memorizing. His version of Amazing Grace is excellent and his new version of Scotland the Brave is one that should be a classic. I would highly recommend this Stand Easy to anyone! Try requesting the Scotland the Brave track and see what you think! 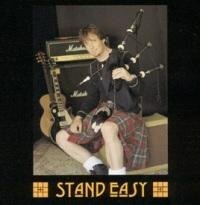 Want to write a review about John McLean Allan's Stand Easy album? Post your comments in this box to be displayed in our community forums and in our album database! Please make sure you are logged in before proceeding. Please login to write your comments about Stand Easy.